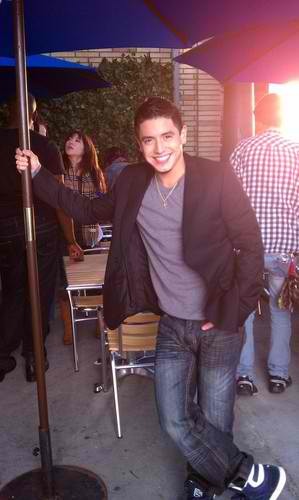 Stefano Langone has been eliminated on Thursday's American Idol Season 10 Results Night (April 21). But it was quite all fine for Stefano who told host Ryan Seacrest that American Idol started his career and he's happy he reached that far. In the Bottom 3 were Jacob Lusck and again Hailey Reinhart. I was expecting Jacob to get eliminated, and sadly it was Stefano, who happens to be one of my favorites. And what was quite interesting on last night's elimination was how James Durbin cried for Stefano. What's the real score between them?